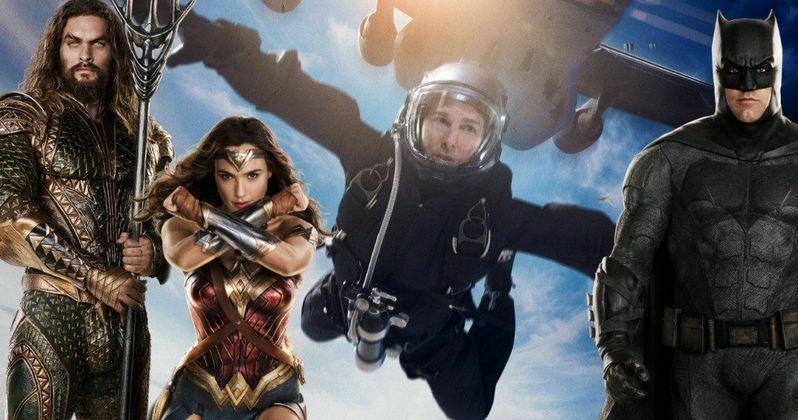 Mission: Impossible 7 director Christopher McQuarrie reportedly passed on directing a DC project. Following the release of Mission: Impossible - Fallout last summer, which was one of the biggest blockbusters of 2018, not to mention the critical acclaim, McQuarrie became a hot commodity, with several major studios trying to court him with major projects. Warner Bros. was apparently at the top of the list and they were trying to use their stable of DC Comics characters to lure him in. We recently learned that Paramount ultimately was the studio that managed to court Christopher McQuarrie, by getting him to sign on to write and direct the next two Mission: Impossible movies, which will shoot back-to-back and be released in 2021 and 2022 respectively. In one of the reports regarding that news, it was revealed that Warner Bros. "tried to seduce him with DC projects." Unfortunately for them, that didn't work and the filmmaker decided to reunite with his pal Tom Cruise instead. Given their recent track record working with one another, it's a decision that makes a great deal of sense. As for what DC Comics projects Warner Bros. may have tried to entice Christopher McQuarrie with? That's anyone's guess at this point. However, McQuarrie has indicated his desire to tackle Superman in the past. Though, that presents its own set of issues, as Henry Cavill doesn't look to be returning as the Man of Steel anytime soon, if at all. The studio has made it reasonably clear that another Superman solo movie isn't a priority at this time. Cavill coincidentally worked with McQuarrie on Mission: Impossible - Fallout, which led to his now infamous mustache that had to be removed with very expensive CGI for the Justice League reshoots. That situation clearly didn't cause any bad blood between Warner Bros. and Christopher McQuarrie. In any event, he's not going to be making a DC movie. At least not anytime soon. Though, it's easy to see why the studio would want him to. Mission: Impossible - Fallout was one of the best reviewed movies of 2018 and grossed a series best $791 million at the box office. That was following in the footsteps of 2015's Rogue Nation, which was also very well regarded and brought in $682 million globally. McQuarrie has proved that he knows how to make a crowd pleaser. But it's the pairing of Christopher McQuarrie and Tom Cruise that seems to work so well. The two have worked together on ten movies together so far, with the next two Mission: Impossible movies making it a dozen. As for Warner Bros., the DC brand should be fine even without McQuarrie, as Aquaman recently passed the $1 billion mark at the global box office, with Shazam set to hit theaters in April. After that is the Joaquin Phoenix Joker movie, which arrives in October, followed by Birds of Prey and Wonder Woman 1984 in 2020. This news was first reported by The Hollywood Reporter.